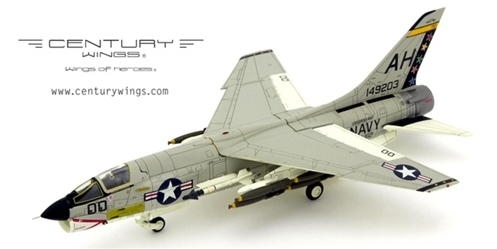 Established in November 2006 in Tokyo, Japan, Century Wings has quickly become the preeminent maker of highly detailed, ready-made, diecast military aircraft. In September 1952, the United States Navy announced a requirement for a new fighter. It was to have a top speed of Mach 1.2 at 30,000 ft (9,150 m) with a climb rate of 25,000 ft/min (127 m/s), and a landing speed of no more than 100 mph (160 km/h). Our Price: $74.99 Sold Out! Our Price: $79.99 Sold Out!